A cross-campus entrepreneurship program funded by the Blackstone Charitable Foundation, Blackstone LaunchPad is a campus-based experiential program open to students, alumni, staff and faculty, offering coaching, ideation, and venture creation support. group and one-on-one, workshops, referral and academic integrity education, training and administration. 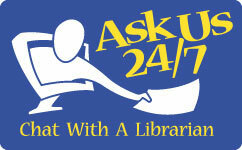 and disseminates information about campus wide academic resources available to SU students. Visit the Center for Learning and Student Success for more information. A workshop, laboratory and classroom space designed for the study and creation of digital artifacts and experiences. The DSS maximizes flexibility in response to emerging digital practices. It supports software design, game study and development, statistical analysis and data visualization, digital mapping, and digital humanities projects across a variety of disciplines. For more information about the Digital Scholarship Space contact dss@syr.edu.